Leaves are falling and temperatures are cooling off, so that means it’s time to start thinking about your company Christmas party. Of course, you want the nothing but the best for your coworkers and management, and businesses small and large have been trusting us to deliver an exceptional photo booth experience since 2009. 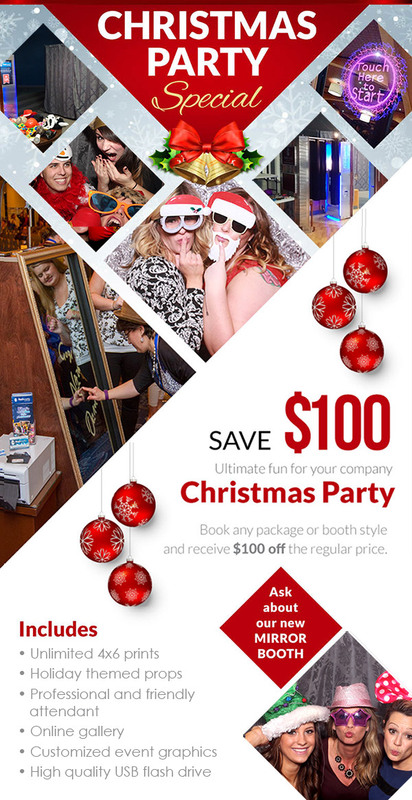 Until the end of October, book Alberta’s top photo booth for your Christmas party and receive $100 off any of our rental package. Give us a call at 780.886.1230 or drop us a line via the form below or the live chat feature on the right. Our packages are fully featured but we’re happen to customize a rental especially to fit within your budget and needs.